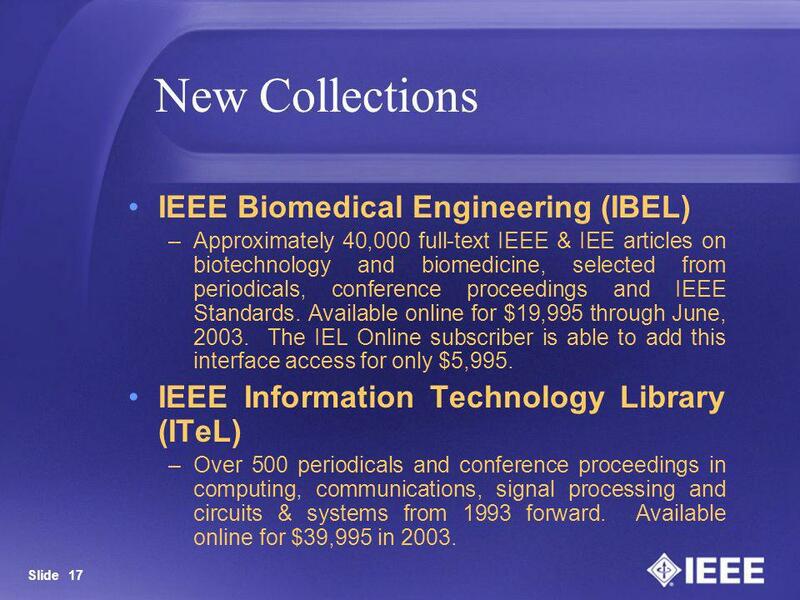 IEEE Online Collections The Most Essential Information for Engineering Researchers Today Jean Jennings Senior Director, IEEE Online Sales June 2003. 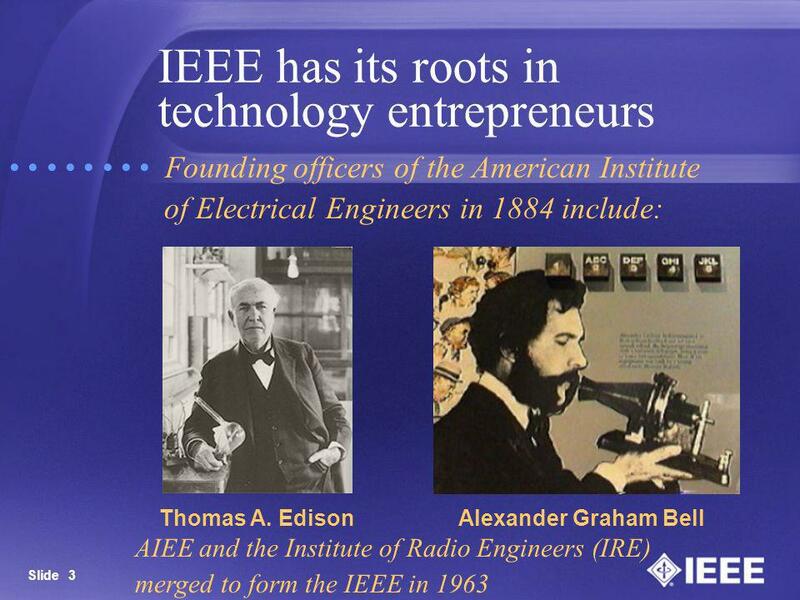 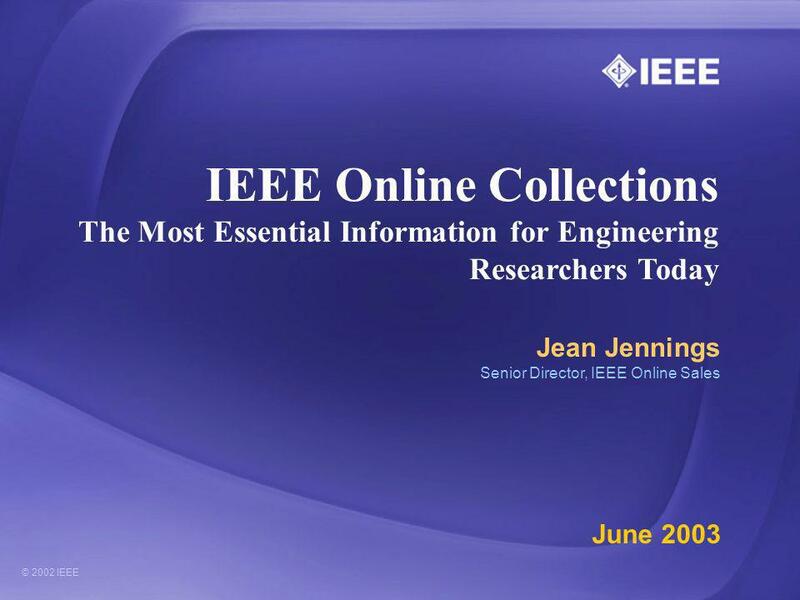 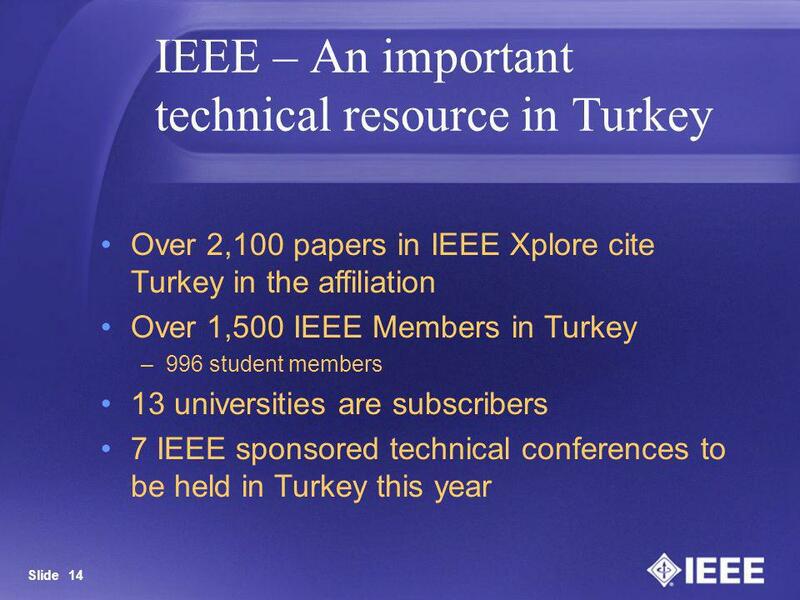 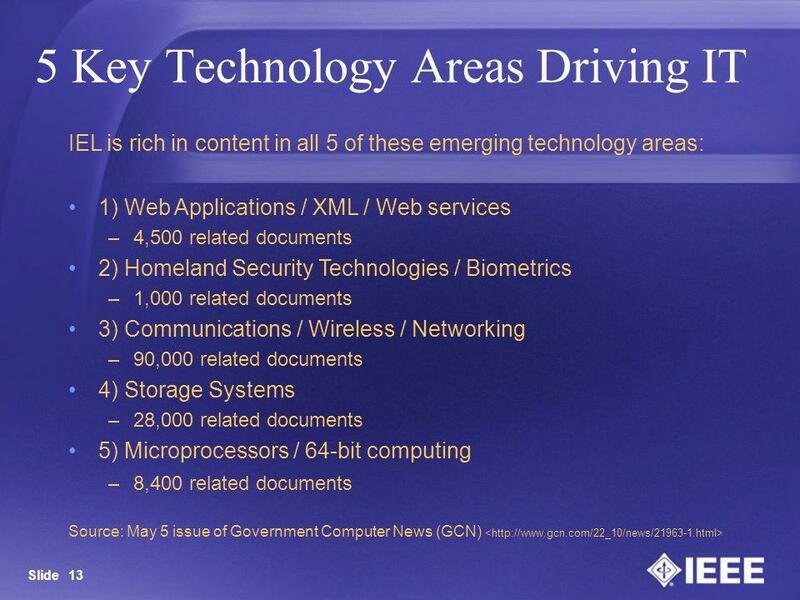 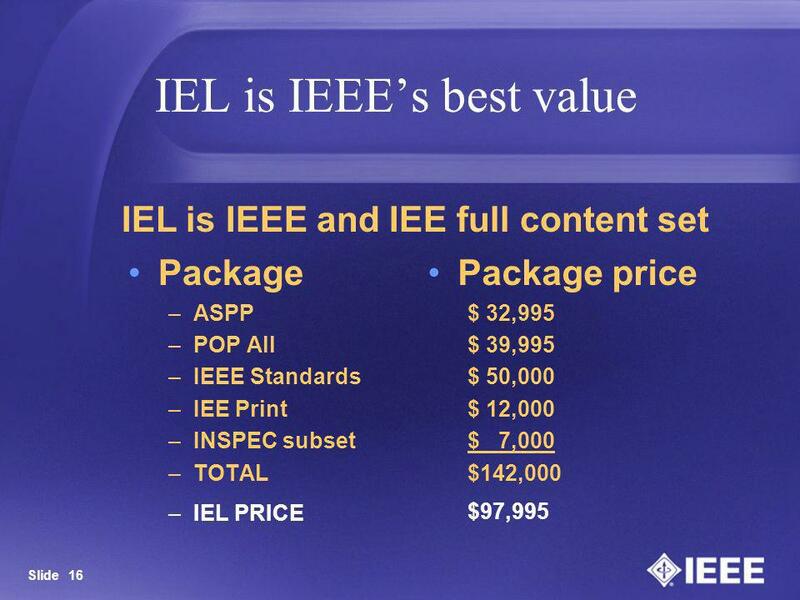 Download ppt "IEEE Online Collections The Most Essential Information for Engineering Researchers Today Jean Jennings Senior Director, IEEE Online Sales June 2003." 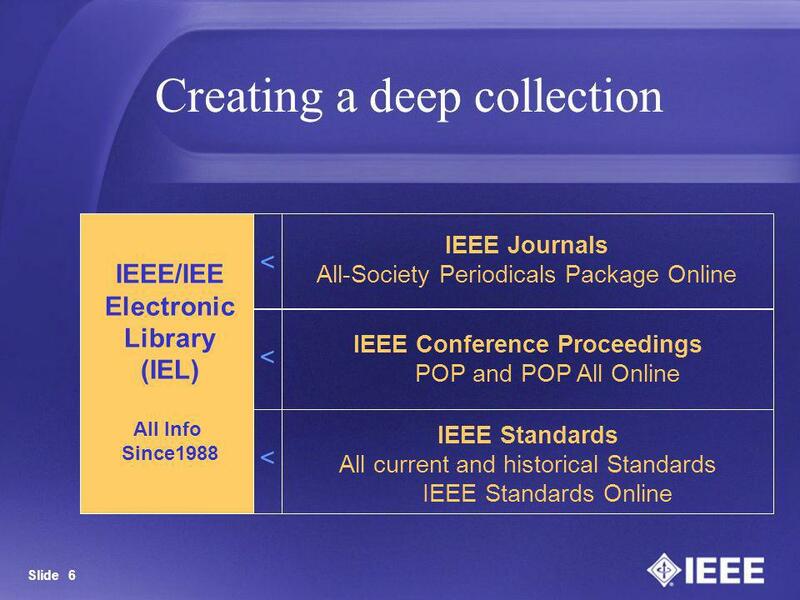 1 L U N D U N I V E R S I T Y Integrating Open Access Journals in Library Services & Assisting Authors in choosing publishing channels 4th EBIB Conference. 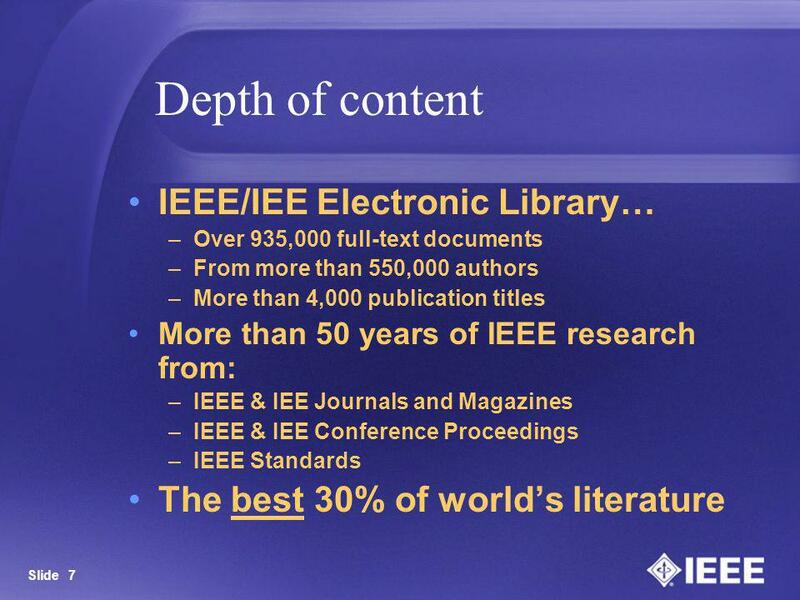 Directory of Open Access Journals eifl General Assembly 2010 in Lund, Sweden Sonja Brage, Lund University Libraries, Head Office February. 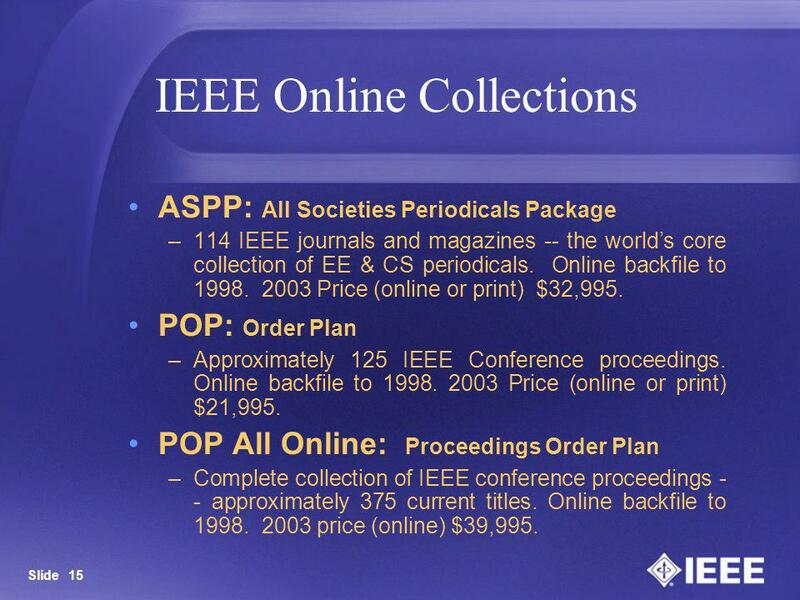 IEEE Plans for COUNTER Code Of Practice Barbara H. Lange Director, Publications Business Development National Online 6 May 2003 New York. 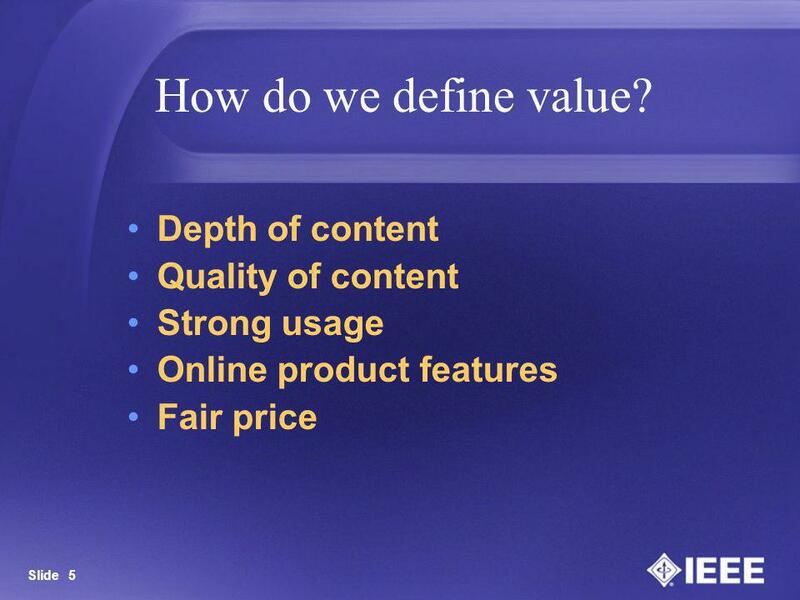 Appendix The SAMIEE / MD Dashboard – Step-by-Step Configuration Membership Development WebcastSlide 1 Prepared by: Helen Shiminsky MGA Information Process. 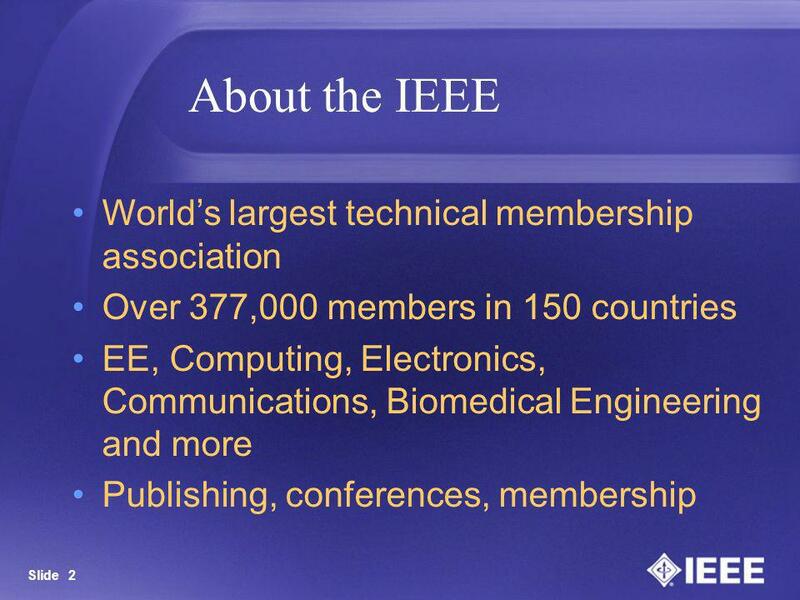 IEEE Expert Now Beth Babeu Kelly Educational Activities 17 February 2007 Universal City, CA IEEE Expert Now Editorial Board Meeting 16 February 2007 Agenda. 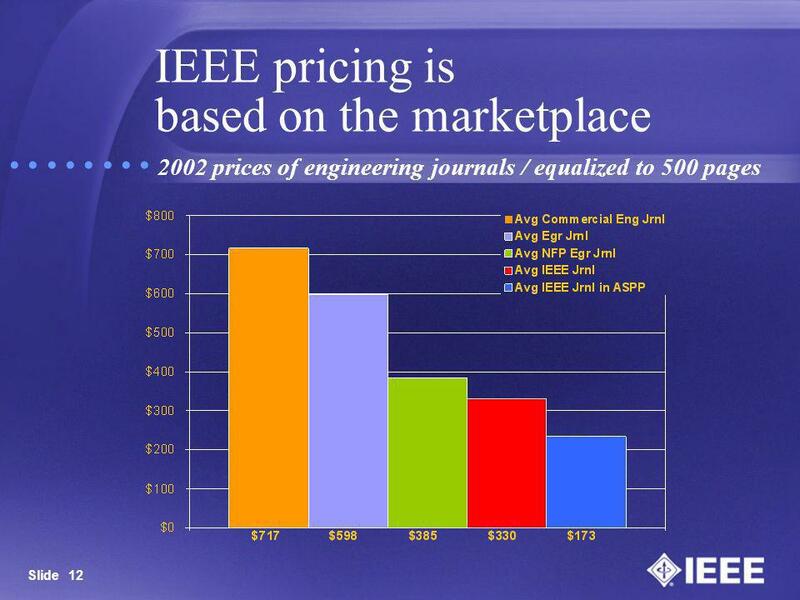 IEEE IEEE Standards Members Journals Conferences. 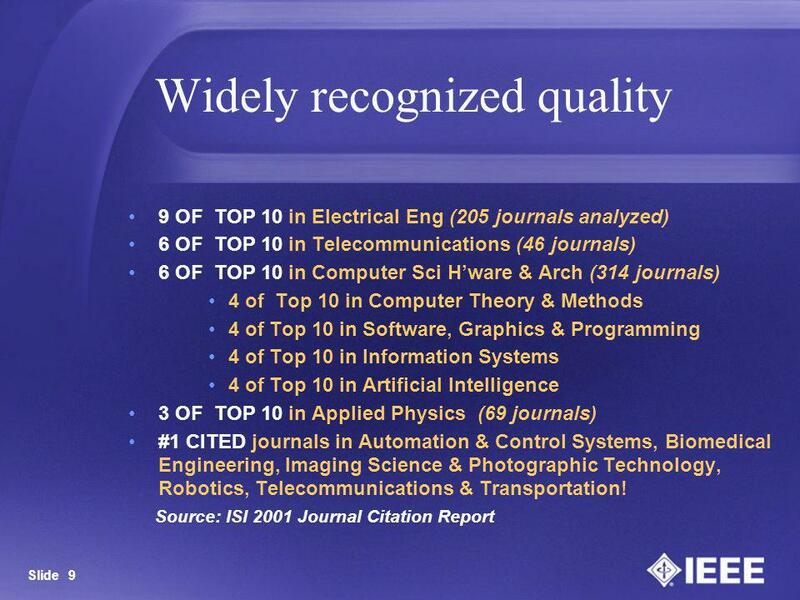 1 Standards Development at ASTM International Learning Module Series. 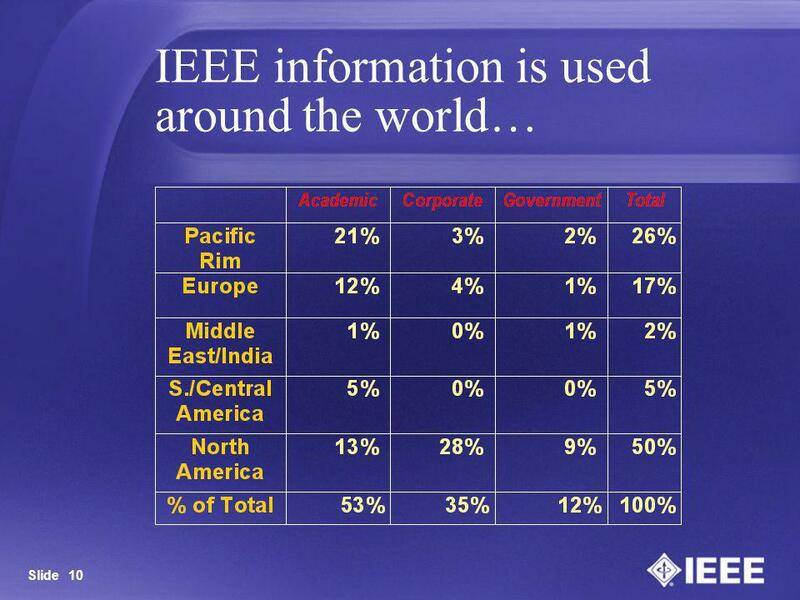 1 A World of Opportunity Society of Petroleum Engineers. 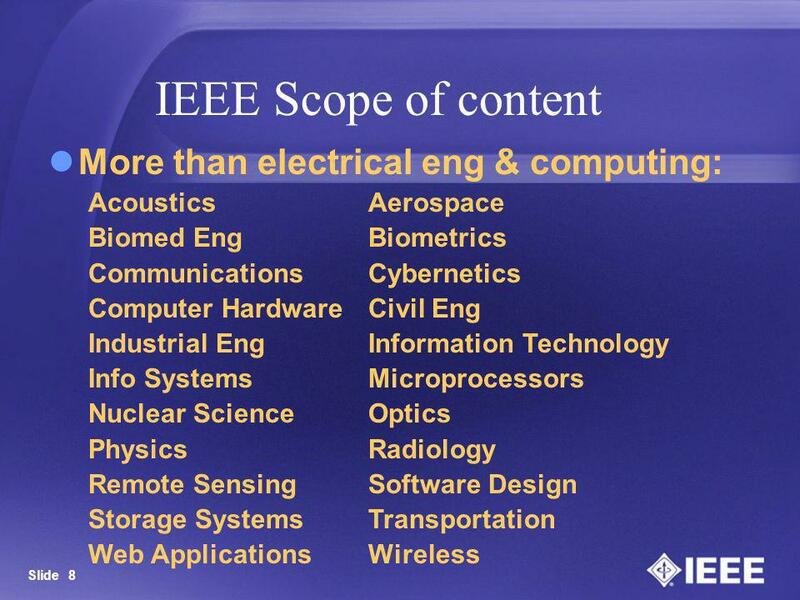 IEEE-USA Workshop (27-29 April 2001) Electrical and Computer Engineering Examination The National Council of Examiners for Engineering and Surveying, Principles. 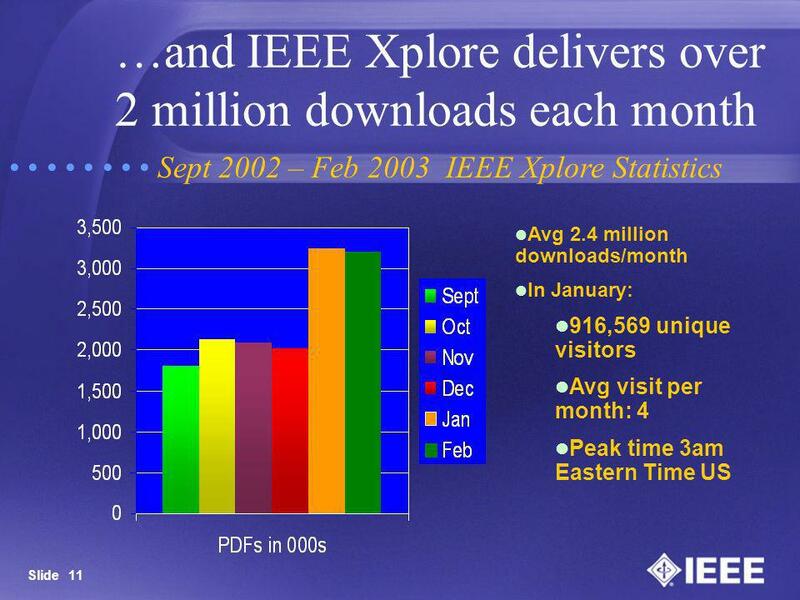 © 2012 Association for Computing Machinery Intro to the ACM Digital Library February 24, 2012 Intro to the ACM Digital Library February 24, 2012. 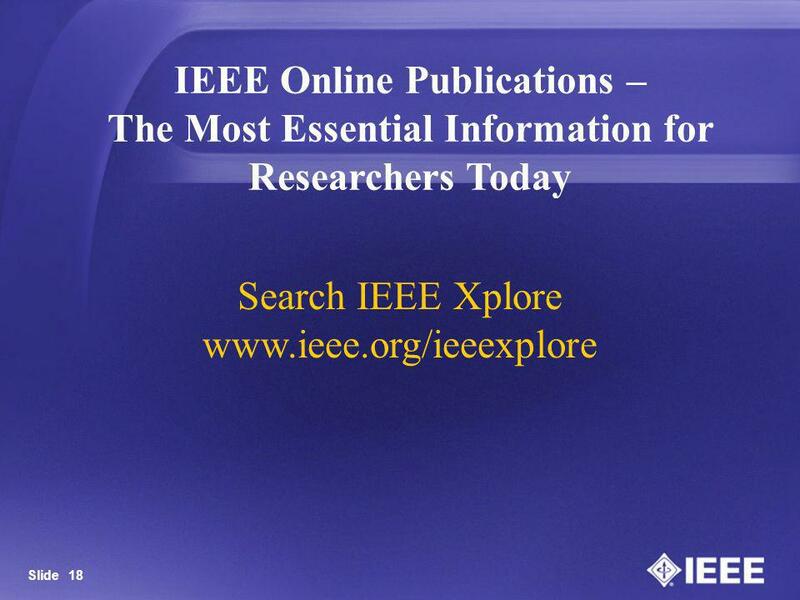 EU Bookshop A single access to the official general publications of the European Union Dr. Silke Stapel - Publications Office Luxembourg/ Brussels, December.